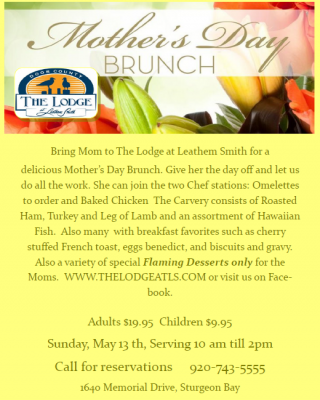 Mother’s Day Brunch at The Lodge at Leathem Smith is one of the largest in Door County. Serving 10am – 2pm with a huge variety of foods for every taste bud. Choose from omelettes made to order, baked chicken, carving stations with roasted ham, turkey, lamb and an assortment of Hawaiian fish. 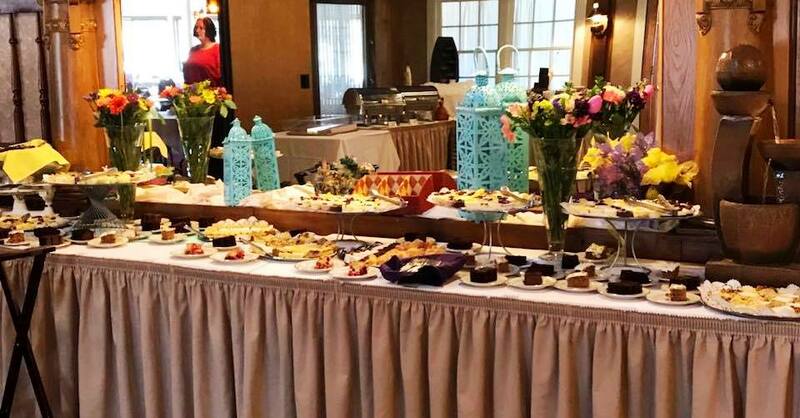 Breakfast favorites include; cherry stuffed French toast, eggs benedict, biscuits and gravy, fruit and more. Please call 920.743.5555 to make your reservations today!